Click here to learn how to measure your battery! Prevent theft with a heavy-duty dual/single battery lock from Battery Shackle of Redding, California. Our product is perfect for anyone out hunting, camping, fishing or leaving an RV in storage. It is the only dual/single battery lock of its type on the market. 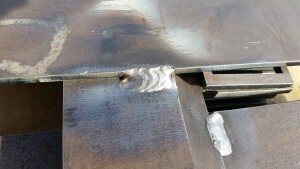 You know you can trust our American-made locks because they are manufactured from the finest steel by certified welders. These battery locks feature all-steel, welded construction. Made in America, they cannot be broken into by most common burglary tools. And a bar that goes through the middle of the battery boxes. It is very user friendly and easy to install in 2 minutes or less! Lower the lock arm, apply two nuts (included), and tighten. 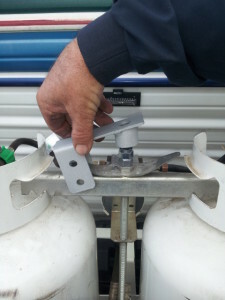 Place propane lock over nuts and apply master lock (included). 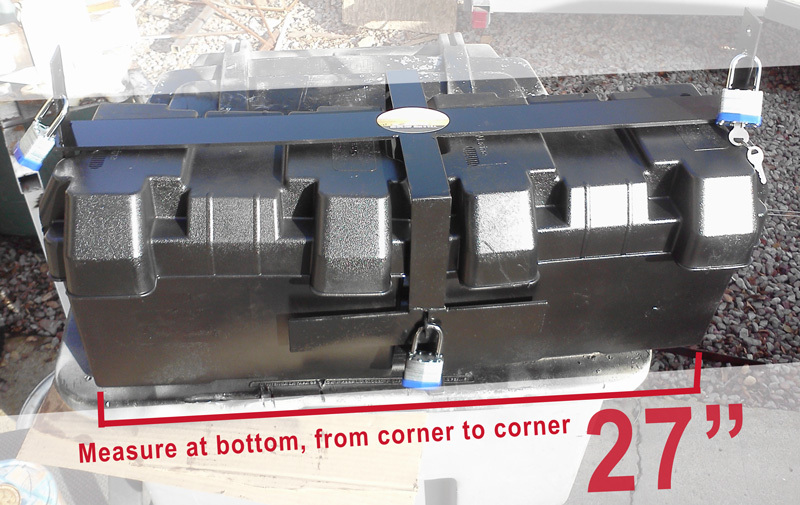 Never use Battery Shackle without a battery box. 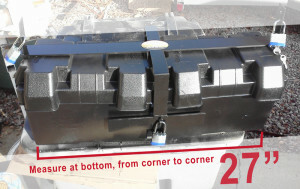 Use plastic battery boxes without cracks or heavy wear. Check out our Shop to find protection for all your RV batteries!